This is one of a series of “travelogues”, or year-in-review posts, covering music I especially enjoyed this year. This entry covers a dozen albums that were especially hard to categorize, which I expect is very likely to the delight of each artist rather than their chagrin. Covering a gamut of styles, genres, and back stories, they all made for irresistible and intriguing listening. Note that the albums are not in any kind of ranked order, but are simply listed alphabetically by artist. 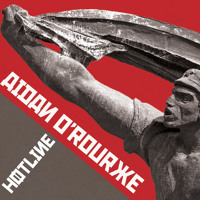 This solo project by Aidan O’Rourke (also of Lau and Kan) centers around the first transatlantic telephone cable system and the historical significance of the conversations it carried. The tracks reference the connection points in Scotland (Gallanach Bay near Oban, the artist’s hometown) and Canada (Clarenville in Newfoundland) as well as the ship that laid the cable, the HMS Monarch. The music blends traditional folk & jazz elements as well as vintage audio and field recordings captured during visits to the TAT-1 complex in Scotland. Each piece follows a template in which the introductory section evokes the sense of place and time and then builds into a musical conversation of diverse voices, not unlike the many verbal conversations that took place over the cable itself. These musical voices are provided by Aidan’s fiddle, Phil Bancroft’s saxophone, and Paul Harrison’s piano, and are all deftly propelled by Martin O’Neills bodhran and Catriona McKay’s Scottish harp. A fascinating and unique project and a cracking listen. What makes this EP by Clem Leek is unique is not an abstract, avant approach or an eclectic melange of genres. It is really quite tranquil and lovely. I suppose the best way to describe it as a collection of guitar based sketches with occasional vocals that split the difference between ambient and melancholic indie. But what really matters is not the description but the music which is unremittingly beautiful throughout this little gem of a record. ‘Gone’ covers a lot of musical ground over the course of its five tracks. The showpiece for me is Floex’s original abstract electro-acoustic song ‘Saturnin and the Restless Ocean’ and the inspired rework of the same track by Hidden Orchestra featuring their trademark dynamic dual-drum attack. There is also the lovely title track, especially composed for the Floex live vocalist Sára Vondrášková of Never Sol, an ambient piano composition, and a vibrant remix by Dikolson of “Veronika’s Dream” (originallly from the 2011 release ‘Zorya’). 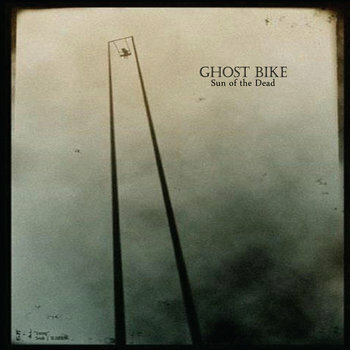 Vlad Shusterman describes the style of his Ghost Bike project as “dense, distressed, daedal beauty crafted from fusion of both live and canned vocals, sweeping electronics, eclectic sampling, and omnipresent heavily processed guitar”. Falling somewhere between the realms of electro and post rock with a dash of psychedelia, it is a potent and exotic sonic potion. Many tracks feature vocals sung or spoken, but the track that really blows me out of the water is the instrumental ‘The German Ocean’. 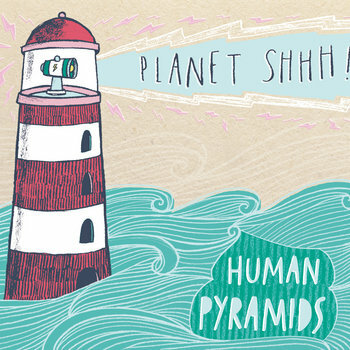 Human Pyramids – Planet Shhh! Human Pyramids is a new project from multi-instrumentalist Paul Russell in collaboration with a number of musicians from around the UK. It is self-described “a triumph of neo-classical arrangement, a world in which jubilant choir-led chamber music and post-punk meet head on to form a place where anything is possible”. Imagine a brass band, chamber orchestra, choir, and a group of rock musicians all converging on the same stage and putting on a show. But there is plenty of method among the madness. The level of musicianship is high and the arrangements are both cleverl and expertly paced. This is serious music that delivers a lot of fun in the listening. Ithaca Trio is the electronic music project of UK composer Oliver Thurley. ‘Music for Piano and Patience’ contains two long form pieces of minimalist piano composition morphed, processed, and looped into repeating, interlocking, spiraling, and decaying patterns for 30 to 35 minutes each. As abstract and experimental as that sounds, if you lend it your ears and your patience, it will reward you with some utterly absorbing and beautiful music. 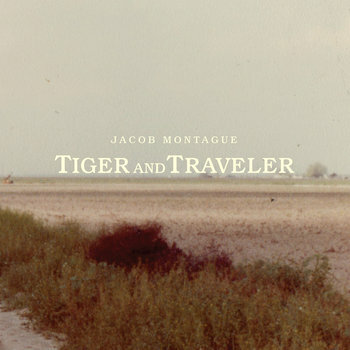 An album that is hard to describe, but oh so easy to listen to, ‘Tiger and Traveler’ by composer & producer Jacob Montague has three subtly divided parts. Six tracks based on a short story of the same name written by he and his sister, a pair of tracks from an earlier EP, and a trio of songs that comprise the score to a short film called ‘Moriah’. It all works very well as a single album tied together by the common thread of musical storytelling through mostly acoustic instrumentation. It has warm, organic feel and irresitable charm. A fine album to put on just about any weekend afternoon. 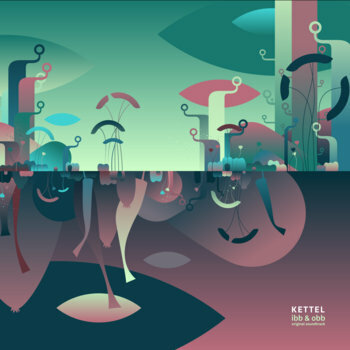 The music on this new album from Reimer Eising as Kettel was actually scored for a co-op platform video game called Ibb & Obb. According to the label, “the complete score turned out so extensive and unique…that the situational in-game music was reworked to an album”. It is quirky, hypnotic, sometimes beautiful, and, at 26 tracks, expansive. A captivating recording that fans of Kettel and electronic music in general should definitely check out. Kumea Sound is both a music project and record label run by Finnish musician Lauri Wuolio. The music is both a melodic and experimental exploration of the resonant sounds of the handpan, which Wuolio prefers to refer to as the cupola. 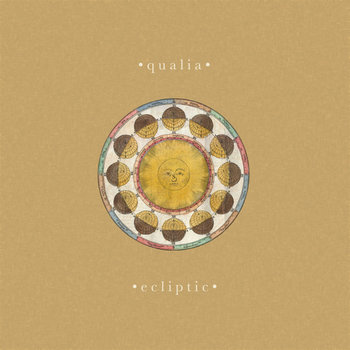 Elements of new age, jazz, world, and electronic music are all part of the tapestry of sound Wuolio weaves on this unique and delightful record. 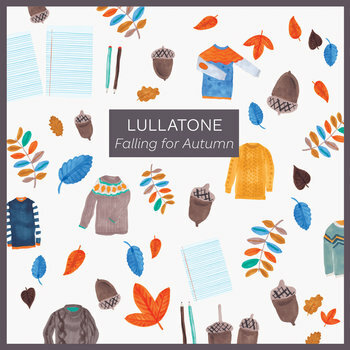 As Lullatone, Shawn James Seymour and Yoshimi Tomida make music that sound deceptively simple but incorporates diverse influences from electronica, children’s songs, pop, classical, and jazz. The track titles are as enchanting as the songs and the album proves that music does not have to be heavy to be sophisticated or intelligent. This one should bring a smile to the face of your inner child. The music on Présence Acousmatique lives deep in the night and the soul somewhere between ambient, avant garde, and modern jazz. 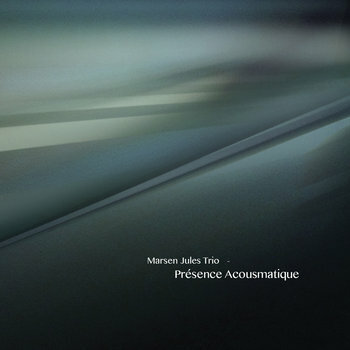 Marsen Jules is accompanied here by Anwar Alam and Jan-Philipp Alam on piano and violins and, on two tracks, by Roger Doring on saxophone. Sometimes abstract, sometimes direct, but always patient and atmospheric with a heavily melancholic film noir mood. A unique and exceptionally well-performed required full of sonic depths to explore. The music of UK artist Alec Snook as Zoon Van Snook is sometimes referred to as oddtronica. I prefer his own hilariously self-deprecating description: “A passion for genre-spanning melody, field recordings, found sound and electronics combined with the utility of guerrilla techniques (encompassing household objects) has spat ZvS face first into the sphere of criticism in the creation of affably sinister sonic sketches and ambionic audio montage.” That humor and eccentricity definitely shines through in the album, but there is also plenty of seriously good music here as Snook is also happy to give us some very nice melodies and arrangements as well. A beguiling and ultimately very satisfying record to listen to. This is one of a series of musical “travelogues”, or year-in-review posts, covering music I especially enjoyed this year. This entry covers five outstanding modern classical / acoustic EPs. Note that the albums are not in any kind of ranked order, but are simply listed alphabetically by artist. ‘Suite’ may be a small package, but it is a captivating record that heralds a real emerging talent in composer Lucy Claire. She gives us two compositions ‘Rituals in Dust’ and ‘Fantasia on Mildew’ which she architects around piano and binaural soundscapes complimented by exquisite performances on cello (Lily Thornton) and violin (John Garner). The third track is a pulsing downtempo rework of ‘Fantasia on Mildew’ by Winter Son that comes off brilliantly. If you are like me, this will simply not be enough of Lucy’s music, so be sure to also seek out ‘Palestin’ on her Bandcamp site and ‘Bound in Sea’ which appears on the Futuresequence Sequence 7 compilation. ‘Birth, Life, and Death’ is not just an abstract title, but it maps out a song cycle that the six pieces traverse. 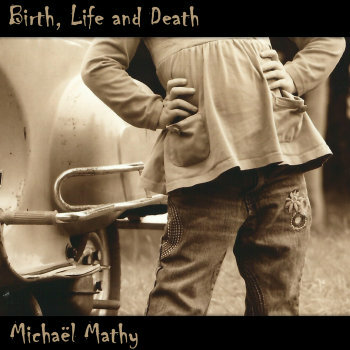 Birth – two songs written for the birth of Mathy’s daughters; Life – two tracks written for weddings and one for a birthday; Death – a song written as a musical letter to a friend diagnosed with cancer. These are beautiful compositions impeccably performed and very likely to bring tears of joy and sadness to your eyes. My favorite solo piano record this year bar none. ‘Accretions’ is a piece of music commissioned for an exhibition curated by QUAD in Derby, UK, a musical imagining of being poised on the edge of a black hole, and a soundtrack to an animated video by Christopher Brooke. 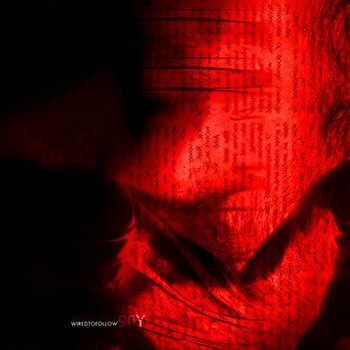 ‘A Lullaby Hymn’ is a continuation of the musical development of Birkin’s Emphemetry project. The melody at the heart of the reverse guitar loops of ‘A Lullaby Hum’ are completely re-imagined using classical instruments with a dusky solo piano movement that segues into a lovely reprise with layers of acoustic guitar, violins, and violas that is indeed hymn-like. The two tracks have very different origins, but work beautifully together as one delightful listening experience. This collaboration of Steve Gibbs and Cyrus Reynolds blends modern classical with deft touches of ambient and electronica in well crafted arrangements to create one gorgeous EP richly embroidered with nuanced textures and flowing with a sweet melancholic undercurrent and a dash of the the cinematic. Lovely stuff. This EP by English quartet subzar is something of an ode to travel, both as an experience and a metaphor. The songs and titles convey the story of a migratory journey by a flock of birds, but the title appears to be a reference to essayist/novelist Pico Iyer whose philosophical thoughts on travel we hear in the final track and apparently helped inspire the bands approach to the record. 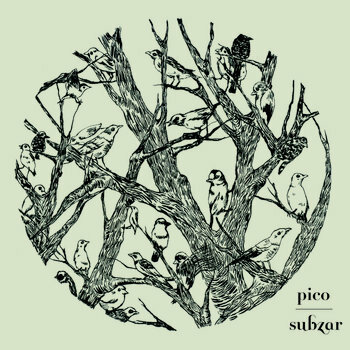 subzar travelled to Austria record ‘pico’ using only the instruments they carried and the natural sounds captured on their travels. The end result is enchanting musical storytelling and an artful package that works on multiple levels. This is one of a series of “travelogues”, or year-in-review posts, covering music I especially enjoyed this year. This is part 2 covering an additional ten of twenty outstanding releases in the categories of modern classical and acoustic. Note that the albums are not in any kind of ranked order, but are simply listed alphabetically by artist. 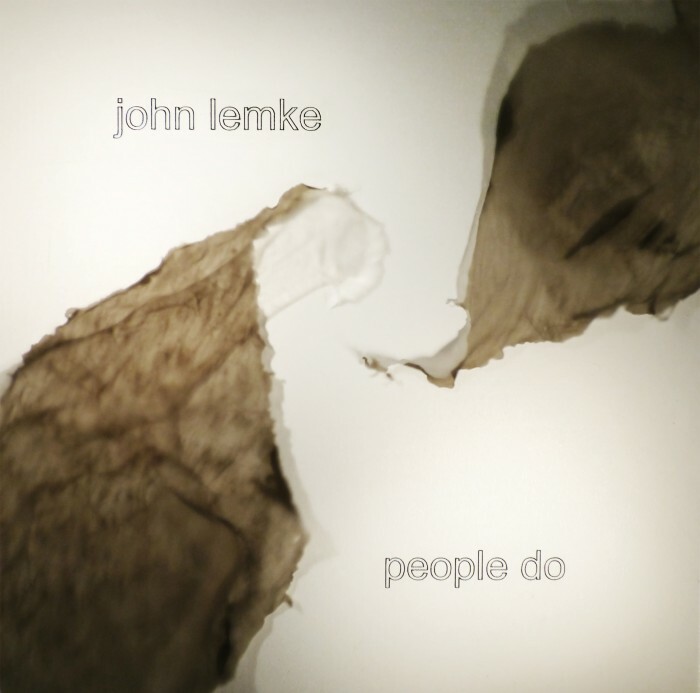 Brimming with ideas and a wide variety of instrumentation and sound designs, John Lemke’s first full- length solo record is pure audio alchemy. Percussive prepared piano, throbbing bass lines and percolating percussion are at the core of the album and provide a versatile framework on which he builds & improvises with the other elements – guitar, pads, processed vocals, viola (played by Kim Moore), sax (played by Felipe Sumina), and an array of field recordings Lemke curated from all around Europe. According to Denovali, the record was conceived and recorded in several locations ranging from Berlin to Bristol, Helsinki to rural Spain and Glasgow, and was mastered by none other than Nils Frahm. Organic, hypnotic, and dynamic, this is one cracking record that burns with a sophisticated cool flame. Inspiration and space seem to be what Julianna Barwick thrives on as she braids looped strands of voice and instrumentation into objects of otherworldly beauty, and for the creation of Nepenthe she had both in abundance. Barwick went from recording mostly in the isolation of her Brooklyn home to work on location in Iceland with Alex Somers (musician/producer of Sigur Rós, Jónsi, Jónsi & Alex) as well as string ensemble Amiina and guitarist Róbert Sturla Reynisson from Múm. It was bold step that resulted in a record of stunning, ethereal beauty and considerable emotional power. In ancient Greek literature, nepenthe was a magic drug of forgetfulness used to wipe out grief and sorrow and Barwick’s remarks indicate why it serves so well as a metaphor for both the making of the album and the power of the music it contains. “Everything I was making was visceral – the record represents some serious emotional stuff”. Satellite is the 4th album from composer Graham Richardson as Last Days and it is an exceptionally beautiful one. 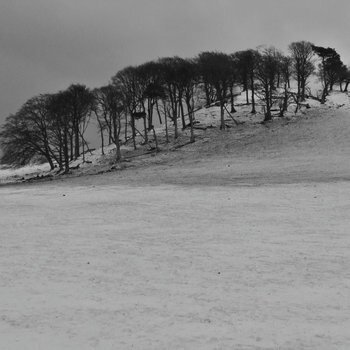 A touching wintry melancholy permeates many of the 14 tracks, primarily featuring piano, soft drones and field recordings, but there is a strong emotional undercurrent which flows toward a gentle catharsis near the end of the album with the song ‘New Transmissions’ sung by Beth Arzy, and the 11 minute soft crescendo of ‘To the Sky’. This record served as an introduction to Richardson’s music for me and I am now very much looking forward to exploring his earlier work. 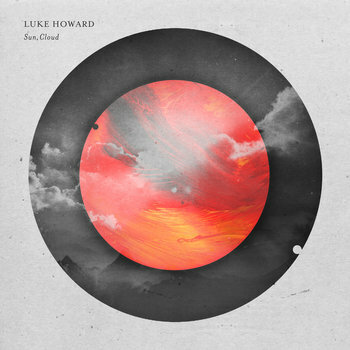 Pianist and composer Luke Howard delivers a lovely album with a collection of pieces featuring piano, strings, and a modicum of electronics. Along with members of the Melbourne Symphony and Oslo Philharmonic and a number of individual collaborators, ‘Sun, Cloud’ strikes a perfect balance between minimalist and cinematic styles that is both soothing and inspiring and always eminently listenable. ‘Portrait Gallery’ is particularly sublime and one of my favorite solo piano pieces heard this year. With ‘Colours in the Dark’ Wilson Trouvé takes his Monochromie project down a more pastoral path with an album mastered by Wil Bolton centered almost completely around the piano with minimal amounts of additional sonic ornamentation. 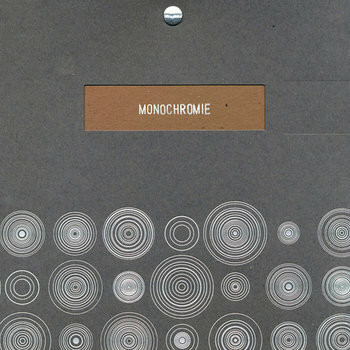 The tone is melancholic and nostalgic, with a dash of romanticism casting light gently on the grey, though he does add depth and atmosphere to the final three tracks where electronics are brought to the fore. I find the trio of songs in the central part of the album, ‘Whales’, ‘Old Times’, and ‘Łódź’ to be especially lovely. ‘Spaces’ is not a conventional live record, but then nothing is conventional about Nils Frahm. Called “ode to the joy of live performance”, it is not so much a concert album as a “collage of field recordings” gathered over a two year period in various locations into one cohesive package that documents the magic of his highly extemporaneous improvisations that are unique to each audience and venue. His skill as a composer and performer is nothing less than prolific. ‘Spaces’ is an enthralling record from the exhilaration of ‘Says’, ‘Hammers’, and ‘For – Peter – Toilet Brushes – More’ to the grace & beauty of ‘Went Missing’ and ‘Unter – Tristana – Ambre’. Just a brilliant album. I am sure the transition to full orchestration and vocals was not an effortless one for Olafur Arnalds, but listening to ‘For Now I Am Winter’ one could be forgiven for thinking so. The intimacy of his graceful and melancholic compositions is not lost, but when called upon they scale beautifully and naturally onto this wider canvas with real cinematic power and Arnor Dan proves to be the ideal choice to carry the vocals. An added treat is a pair of reworks of the title track, one by Nils Frahm and one by Kiasmos (Arnald’s electronica project with Janus Rasmussen) . 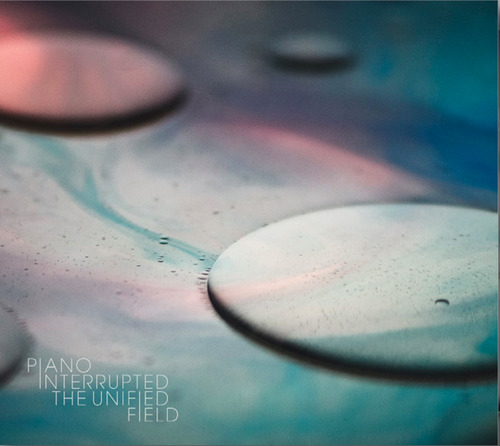 ‘The Unified Field’ is the second full length album from Piano Interrupted, the core of which is London-based pianist and composer Tom Hodge and French electronic producer Franz Kirman, who seem to have formed a near telepathic connection in both composition and performance of their intriguing fusion of classical and electronic elements. The music is cerebral, inventive, and impeccably delivered. Denovali’s artist page says of the record, “The Unified Field is both a seductive, one-time listening experience and a record to return to again and again to reveal its intricate secrets and subtleties”. I could not have put it better. I confess to being unfamiliar with Rauelsson’s significant body of work as a folk artist, but having become enamored with this beautiful instrumental album, I will be rectifying that very soon. If ‘Vora’ may be something of a departure or evolution for him, but it is a modern compositional album as assured and graceful as any I heard this year. Piano, strings, and subtle electronics prevail on the majority of the songs. Vocals do make an appearance in the two-parted ‘Hourglass’, but more so as an instrument contributing to a fabric of sound than a lyrical voice. Finally the album yields to a pure ambient mood with the lovely 7-minute closing track ‘Wave Out’. This record has proven to be a real grower for me. woodworkings is the neoclassical and ambient music of Kyle Woodworth and his latest album mastered by Taylor Deupree for Own Records inhabits a lovely space somewhere between ambient and modern classical. It has the organic, woodsy warmth of acoustic guitar and strings tempered by the wintry coolness of ambient electronics and seamlessly blends the two into a gossamer web of melancholic introspection. An understated gem of a record that should not be missed. This is one of a series of “travelogues”, or year-in-review posts, covering music I especially enjoyed this year. This entry covers the first ten of twenty outstanding releases in the categories of modern classical and acoustic. Note that the albums are not in any kind of ranked order, but are simply listed alphabetically by artist. A stunning split album containing four tracks each from Aaron Martin and Christoph Berg (aka Field Rotation) curated by Bartosz Dziadosz (Pleq). It is serendipitous that this one leads off the list, because it was one of my favorites of the year across all genres. Every track is sublime and the work of these two artists compliment each other perfectly as the music takes the listener on a journey through the arc and rhythms of a day. 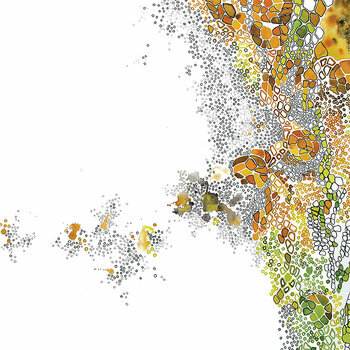 As beautifully described on the album page: “The first part, created by Aaron Martin, is a water-colour, cool and delicate. The twinkling sun reflected itself in a slow river, transparent silvery clouds sparkle and brush the heads of drowsy trees. The closer to the middle of the album, the lower goes the gentle shadow, saturating. In the second part – Christoph Berg’s one, water-colour turns into gouache. The sound becomes more full, more sensuous, it comes in waves, like breath of a sleeping man.”. Aventine is the second album from Danish singer and composer Agnes Obel and what a beauty it is. She does justice to her professed admiration of French composer Erik Satie in this captivating collection of songs exquisitely rendered with piano, guitar, cello, violin, and impeccable vocals. A delight from the first note to the last, this album just never puts a foot wrong. Especially ideal for evening listening. 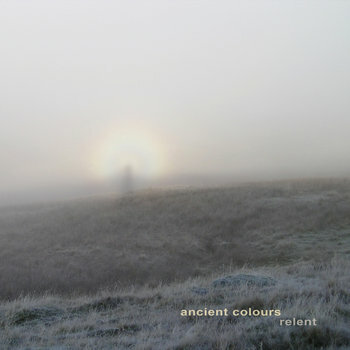 Ancient Colours is the solo project of guitarist and songwriter Simon Allum and the debut album ‘Relent’ is a warm and lovely record of guitar-based meditations. The influence of guitarists like Jansch and Fahey is evident on songs such as ‘The Night Hangs Like A Jewel’, ‘A Message To This World From That Which Is To Come’, ‘I Know You Are Never Coming Home’. Each one is hand-crafted with a sonic patina like burnished wood. And ‘Pose of a Saint’ reminds me of the very best of July Skies – soaked in dreamy reverb and melancholy, it paints a picture in sound of dappled sunlight, golden fields, and autumn afternoons. Musician and visual artist John Lambert has created a gem of a record under the moniker of Chequerboard. 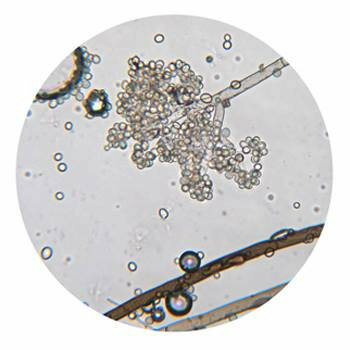 Clear and melodic acoustic guitar lines lead the way and are supported by a variety of subtle treatments from strings, percussion, and electronics. The sound is both soothing and sunlit on lovely tunes such as ‘Dunes’, ‘Opening The Gates’, and ‘Today is Beautiful, We Have Things to Do’ before ending with the evening reverie ‘A Field of Night’. 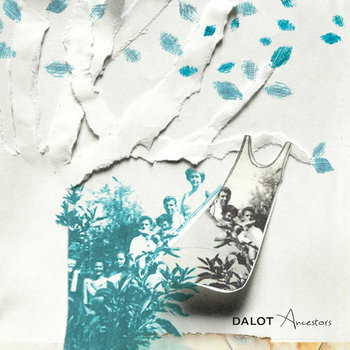 The latest album from Maria Papadomanolaki, as dalot, is essentially a modern compositional EP complimented by three diverse remixes of the title track. The story behind the album is essential to a proper appreciation of it: “In December 2012, I spent two weeks going through and sorting out the photographs, notebooks and paper clippings found scattered in the drawers of my grandfather’s desk that was left untouched since 1996. ‘Ancestors’ is a reconstruction of fragments, not concerned with the accuracy of images and moments but with opening up the flood of memory mechanics to imagination and transformation…What may sound as a nostalgic look into childhood, in ‘Ancestors’ takes the role of a playful escape from the actualities of ‘now'”. In the hands of dalot and her collaborators on guitar, cello, & vocals, the title track is delicate and beautiful. Then Dryft, Northcape, and Bvdub each re-imagine it, expanding the scope of the record deeply into ambient and downtempo territory. All in all, a spellbinding and lovely package. I bought the first three Innocence Mission albums upon their release between 1989 and 1995 and then inexplicably lost track of them while they proceeded to create their finest albums. 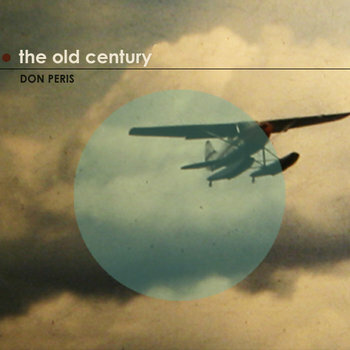 Part of the joy of rediscovering them was learning that guitarist Don Peris has also created some lovely solo works of which ‘The Old Century’ is the most recent. It is an elegant homage to the guitar on several levels as Peris explains, “I studied classical guitar in college and have spent the subsequent years enamored with the poetic voice of this humble instrument. I also love the atmospheric tone that can be created by the electric guitar. I use a 1954 Gretsch Electromatic hollow-body, a Gretsch 6120, a numerous assortment of 60’s Guild nylon-stringed guitars, my 70’s Guild D44 steel string, a noisy Princeton Reverb amp and a recycled 3/4 size student cello.” Through the album’s 15 tracks, he sketches in both classical and folk idioms to weave a spellbinding web of nostalgia in the warm sepia tones of his instruments. With Dalmak, the quartet Esmerine deliver their first album since 2011 and what an aural feast it is. Here again, some background on the album’s genesis is important to getting the most from it. “Dalmak is a Turkish verb with many connotations: to contemplate, to be absorbed in, to dive into, to bathe in, to rush into, to plummet. As a title for Esmerine’s new album, “dalmak” refers in a literal sense to immersion in the culture and music of Istanbul but also appropriately evokes the range of music that emerged from this immersion: a collection of songs that shift between meditative pulsing and enveloping restraint to headlong flights into rhythm and groove.” Lost River Blues, Barn Board Fire, and Translator’s Clos form the up-tempo core of the album and the dynamic collaboration with a variety of guest players which are then ensconced between by more subdued pieces such as Learning to Crawl and White Pine. Superb. 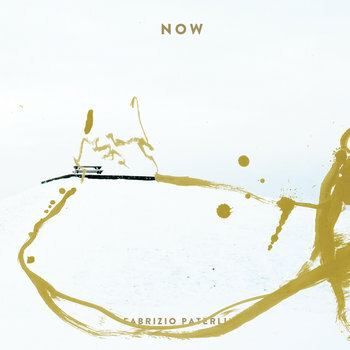 The latest full length album from pianist and composer Fabrizio Paterlini is nothing less than a tonic for the ears. 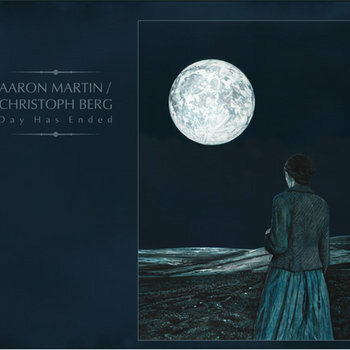 It contains generous portions of his elegant and moving solo piano craft, and here he expands his palette by collaborating with fellow artist London-DC who he says he sought out to add a “creative, but not invasive, layer of electronics sound to my piano lines.” The result is his finest album to date and one that belongs in the library of anyone who enjoys modern piano based music. 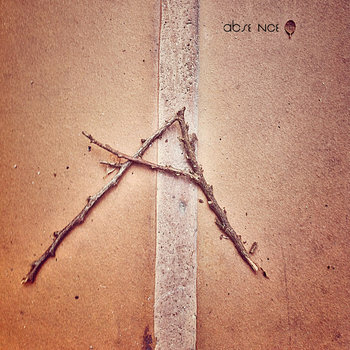 Absence is a unique collaboration between post rock duo Gargle and Spanish contemporary classical composer, Bosques di mi Mente. String players from Tokyo College of Music were brought in to augment the guitar, accordion, and piano at the core, and it is all blended with exuberant passion to create a wide-eyed and beautiful album in boldly romantic and cinematic style. With Oblivion Hymns, Andrew Thompson and Marc Byrd sought from the beginning to make a different sort of Hammock record. The familiar ambient guitar stylings that dominate their previous albums are certainly present, but they are deliberately employed as more of a backdrop behind orchestral and choral elements that carry the deeply emotional themes of loss and grief they sought to explore. As such I thought it deserved recognition alongside other modern classical albums. 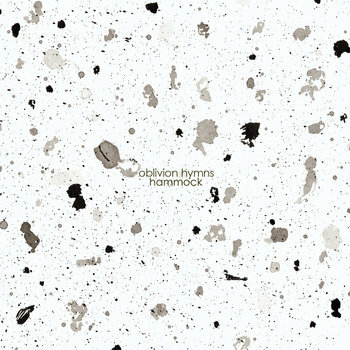 For more background and insight on the making of Oblivion Hymns, check out an excellent interview with Headphone Commute at http://reviews.headphonecommute.com/2013/10/24/interview-with-hammock-2/. This is one of a series of musical “travelogues”, or year-in-review posts, covering music I especially enjoyed this year. This entry covers five outstanding ambient/soundscape/downtempo EPs. Note that the albums are not in any kind of ranked order, but are simply listed alphabetically by artist. 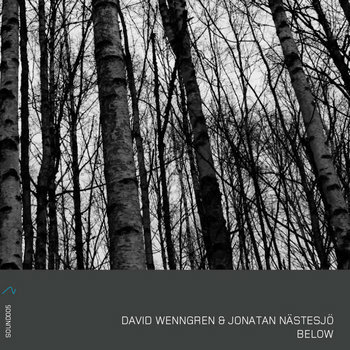 From Sweden comes this finely crafted ambient gem born of collaboration between David Wenngren, also of Library Tapes and Birch & Meadow, and sound artist Jonatan Nästesjö. The four tracks draw a dramatic arc beginning with the hushed and celestial tones of ‘Something There’, slowly building to a droning denouement before ending with the stunning requiem-like ‘Still Nothing Moves You’. Superb. Both quite successful as solo artists, Simon Housley and Tom Honey collaborated to create this beautiful 5-track EP which successfully combines the lush chill style of Housley’s Oathless and the ambient atmospherics of Honey’s Good Weather for an Airstrike into something quite vivid and lovely and which retains the best of what each has to offer. 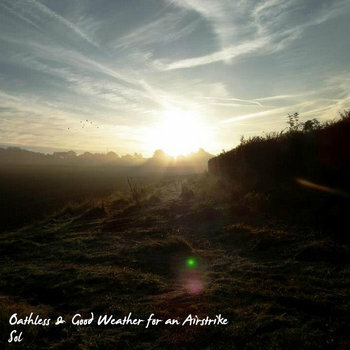 Also highly recommended are their respective solo efforts released earlier in the year, ‘Peripheral: Music For An Imaginary Film’ from Oathless and ‘A Sense of Uncertainty’ from Good Weather for an Airstrike. 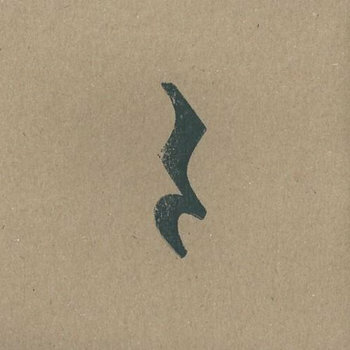 ‘The Waning Branches’ is a unique concept EP which charts the growth and sudden decline of a single morus tree in Sanandaj, Iran through the mediums of cartography and sound. The sound aspect is comprised of just under 19 minutes of minimal ambient music with subtle elements of drone and field recordings woven into the mix. It is quite lovely, especially in the closing minutes as the tone becomes both ethereal and melancholic. The visual element is part of a very attractive environmentally-friendly handmade physical CD package that can be ordered through the Wist Rec label featuring photographs, drawings, maps of the local region, and beet juice ink grown in the assembler’s garden. Stèv is the musical nom de plume of Stefano Fagnani from the seaside city of Ancona, Italy and his EP ‘Elsewhere’ is the latest addition to the catalog of Loci Records where you will also find albums by Emancipator and Tor. 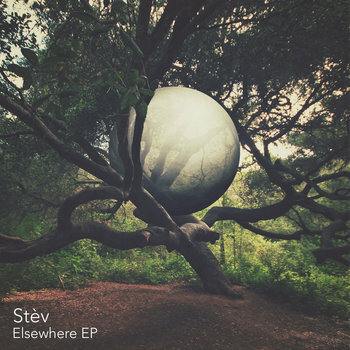 Stèv’s approach is to seamlessly fuse acoustic and electronic elements into a unique downtempo style that creates a very organic and sophisticated chill vibe. A delightful sonic journey. 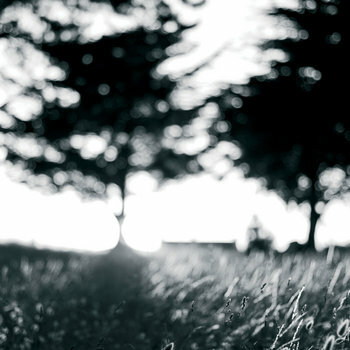 AND&AND is a an album of ravishingly beautiful ambient pieces from Japanese composer Tomonari Nozaki, aka UNKNOWNjp. Lush, cinematic, almost symphonic in intensity, it is quite an emotional experience to listen to all the way through. Also of interest, the songs were recorded with vintage reel-to-reel tape recorder and, in addition to the digital format, plastic and metal reel packages are available to order through Soun Records. Stunning and unique. This is one of a series of “travelogues”, or year-in-review posts, covering music I especially enjoyed this year. This entry covers the last ten of twenty outstanding releases in the categories of ambient, soundscape, and downtempo electronic. Note that the albums are not in any kind of ranked order, but are simply listed alphabetically by artist. Earlier this year, Shannon Penner announced that he would be taking a break from his Orbit Over Luna project and then surprised us with a summer release that was as beautiful as it was unexpected. ‘Transit’ is a purely ambient album that came together from a variety of demos and experiments in tone and texture and the artists own irrepressible drive to create. 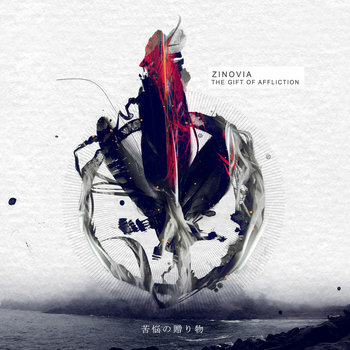 There are seven tracks, each with an eloquent and evocative title perfectly suited to the soundscape it represents: ‘the breathing of roots’, ‘saturnine’, ‘chambers of the sea’, ‘sungazing’, ‘Ylla’, ‘un jardin des cieux’, and ‘in the decay of shadows’, and each one unfolds patiently like the unhurried blooming of a flower. Also a talented graphic artist, Shannon created art for each track, making this a very appealing package and perhaps the most fortuitous musical “accident” of the year. The title of ‘The Unintentional Sea’ refers to the Salton Sea, a failed river redirection to assist Californian agricultural development at the turn of the 20th century and ecological disaster for which solutions are still being sought. The complicated history and imagery associated with this serve as both inspiration and powerful metaphor for these desolate and melancholy soundscapes. There is calmness here, but it is the somber calmness reflection and regret. The drones are deep and heavy like the mineral laden water of its name sake and the textures are thick and dusty. But there is also beauty that cannot be denied, a sense of longing for hope that all may not all be lost, which serves as a ballast to the gloom and makes this such a spellbinding record. Nature itself is the third collaborator on this sublime recording produced by Australian artist Seaworthy (Cameron Webb) and New Yorker Taylor Deupree. The pair spent several days together one February on a 4,000 acre nature preserve near Deupree’s studio called Ward Pound Ridge where they recorded sounds and images which both inspired and populated the album they created during the evenings in the studio. 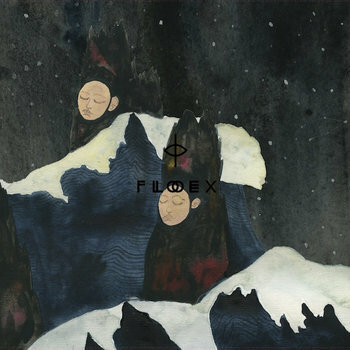 Generous amounts of field recordings – creek flows, boots in the snow, wind in the trees, the rush of snow – along with impressionistic playing of Webb on nylon guitar and only the most subtle use of bells, melodica, and analog electronics all combine to create a vivid sense of place, isolation, and wonder. By the end you will feel you have taken the journey as well. Secret Pyramid is the solo project of Vancouver-based musician Amir Abbey and this album was perhaps my favorite drone oriented recording of the year. I almost passed it over as some of the descriptions of it I read lead me to expect something dark and forbidding. A deep melancholy bordering on a sense of loss does indeed haunt all the tracks, but they are also imbued with a transcendent grace so that the album never becomes maudlin or brooding. Instead, I consider it an enthralling, moving, and beautiful record which I can recommend unreservedly. I had my first exposure to the music of Siavash Amini when he was featured as a Soundclouder of the day and immediately recognized that this was an artist that I was going to hear much more from. ‘Chamomile Vol. 01’ is his contribution to the Botica Música Electrónica series from Oído Records. The motif and phraseology of the label’s description comes across a bit New Age, but the music is richly atmospheric ambient guitar rendered with graceful beauty and deep pathos. This was one of my most often played records during the year. 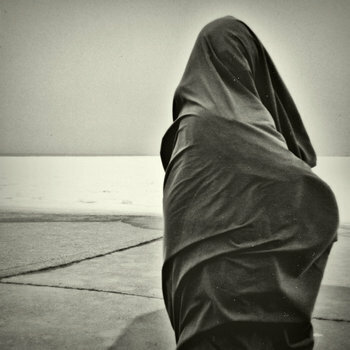 Also note that Siavash has an outstanding track in the Futureseqence Sequence 7 compilation called ‘A Mist of Grey Light’ and a new album expected early next year on Umor Rex records. ‘Visiting Tides’ is the work of British musician Simon Bainton. As intimated by the evocative title, the seven tracks are each named after different coastal areas that have inspired the artist. The description tells us “the album draws from an entirely acoustic palette of instruments including piano, acoustic guitar, voice, harmonica, flute, wind chimes and also features the unmistakable cello of Danny Norbury. These are bound together by an array of sampled vinyl records, field recordings and answer phone messages, all processed and arranged on laptop”. On tracks such as ‘Porlock’, Bainton applies very minimal treatment, whereas others are heavily processed into mesmerizing drones, such as ‘Tankah’. 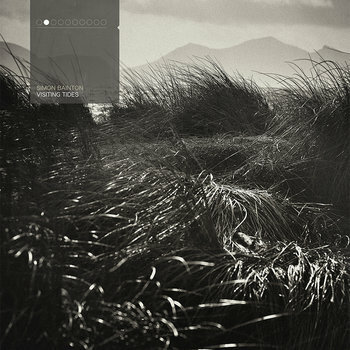 The striking cover art is an image of Newborough Dunes, overlooking the Snowdonia mountain range taken by photographer Richard Outram. Born in Australia and based in New Zealand, Micah Templeton-Wolfe produces beautiful ambient and downtempo electronic music as Stray Theories. 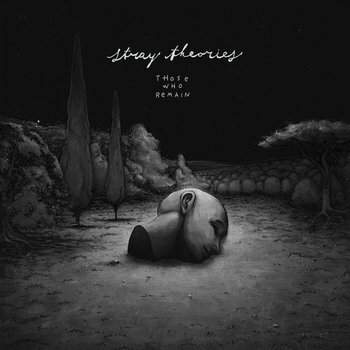 Released over the summer, ‘Those Who Remain’ is no doubt his best work so far. There is a glassy smooth purity throughout the album, yet it never feels detached thanks to a well-constructed melodic framework and the depth of emotion that permeates each song. Add the mastering of Taylor Deupree to all of this musical craft and you have one very complete and satisfying album. 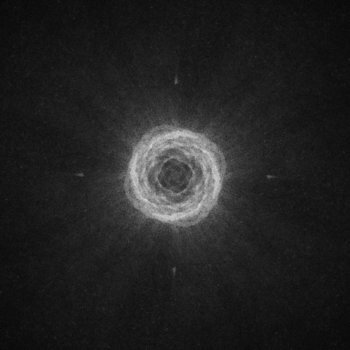 36 (pronounced three-six) is the ambient/experimental project of UK musician Dennis Huddleston. It was started after Huddleston took a year off from making music to allow himself to retool his studio and rediscover his creative passion. The result is an excellent collection of vivid atmospheric electronic and ambient pieces ranging from the impassioned title track to the delicate melancholy of ‘Ofelia’, the intensity of ‘Ascension’, and the nostalgia of ‘Heather Spa’. A very enigmatic and beautiful record. ‘Antecedent Conditions’ is the debut recording from Threethings, a solo ambient guitar project of Ben Worth, also of the post rock band Kontakte and the experimental sound project Stenorette (with Ben Dyson). It consists of six tracks of ambient acoustic and electric guitar run through a variety of effects pedals woven into a complex fabric of loops and melodies with occasional field recordings and piano. 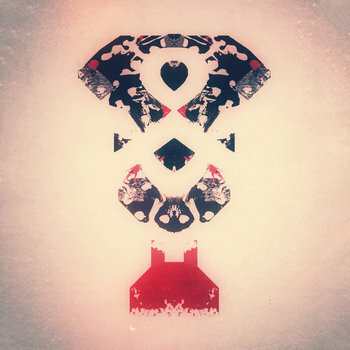 The press material on the album explains that Worth attempted to “find something beautiful in the imperfect and the accidental, the loops contain incidental sounds purposefully left in to maintain the atmosphere of the recording space.” It is impressive to see such a nuanced and patient recording from an artist who can also generate stadium worthy post rock anthems. Fans of ambient guitar will not want to miss this or Worth’s outstanding track on the Sequence 7 compilation called ‘Arkhangelsk’. Although this is her debut album as a solo artist, Athens-born Zinovia Arvanitidi has been studying, composing, and performing music since the age of 8 and has had work featured over the years in theatrical plays, films, and various other media as well as collaborating on a lovely albun last year with composer Hior Chronik under the moniker Pill-Oh. That explains why this is such a polished and mature sounding record. She has created a set of elegant soundscapes sculpted from cinematic and modern classical elements and masterful incorporation of beats and effects. Surely one of the finest downtempo albums released this year. This is one of a series of “travelogues”, or year-in-review posts, covering music I especially enjoyed this year. This entry covers the first ten of twenty outstanding releases in the categories of ambient, soundscape, and downtempo electronic. Note that the albums are not in any kind of ranked order, but are simply listed alphabetically by artist. Everything about this record is immersed in pristine melancholic beauty – the concept, the music, the artwork, the packaging, everything. There are 14 sumptuous tracks here, a pair of interpretations for each of seven compositions, one by Ian M Hazeldine himself and one from a stellar roster of guest artists (Ian Hawgood, Isnaj Dui, Offthesky, Field Rotation, Wil Bolton, Spheruleus and James Banbury). It was a brilliant stroke to weave these guest performances in and among the originals rather than put out a separate “remix” release. They integrate seamlessly into one beautifully sequenced flowing album of real substance. This one is not to be missed. For the first time after releasing a number of acclaimed albums using the moniker of Hecq, Ben Lukas Boysen delivers an intimate and quietly stunning work under his own name. 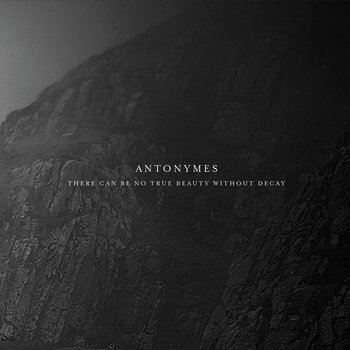 Melancholic piano and ambient textures created from analogue sources sustain a elegiac mood punctuated by glacial crescendos that reveal deep emotion, particularly on the resplendent title track. A sublime and moving piece of work. Elskavon is the ambient project of Chris Bartels who has several musical irons in the fire, including the indie band Bora York (with his wife Rebekah) and a more experimental electronic venture called Vitamin June. 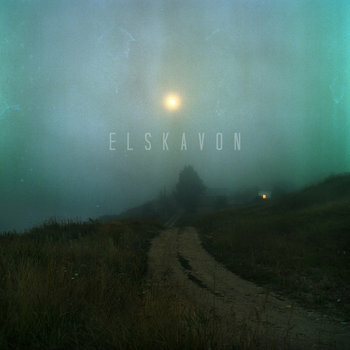 Of all these, it seems Elskavon is the most ambitious and fully realized. Like Elskavon’s debut, ‘Movements in Season’, ‘Release’ is a serene and lovely record catering to a very pure ambient aesthetic, although this time Bartels stretches a little more into drone territory in keeping with the wintry tone he intended to create. Piano and synthesizer based pieces are interwoven to create enough sonic variety to prevent the album from lapsing into blandness, and yet it maintains an appealing calmness throughout. A spring oriented follow up album is expected early next year. 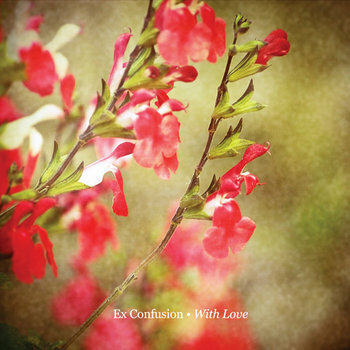 The third album of Atsuhito Omori’s music as Ex Confusion is a tranquil and dreamy excursion with a romantic heart. It is the musical equivalent of a wistful reverie or a stroll in a secluded garden. 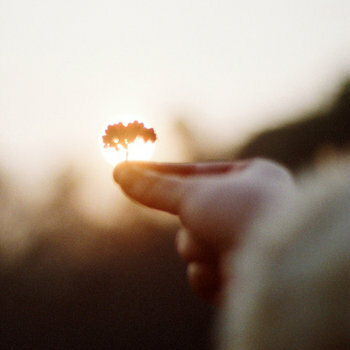 The mood is ambient, but the tones are warm and nostalgic in this mix of ethereal drones, piano, and acoustic guitar. Quite a lovely record. For the most part I am disinclined to include compilation albums beside albums created by a single artist, but I am still mining all the musical gems out of this stunning collection of original tracks curated by music magazine and label, Futuresequence and I think I would be remiss to exclude it. It is comprised of 30 tracks selected from over 200 submissions, each one showcasing the craft of a different artist. Among just a few of the highlights are the surprisingly emotional opener ‘Kawa’ by Monadh, a delightful elaboration on the tintinnabuli method of Arvo Part by Guy Birkin, and the towering distortion driven ‘Arkhangelsk’ by Threethings. Follow the link below to see a profile of each artist and their submission and obtain a free download. This is nothing less than found treasure for anyone who follows ambient or experimental music. 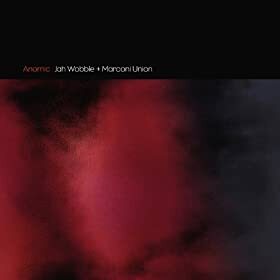 A collaboration as brilliant as it was unexpected, ‘Anomic’ sees the ambient artisans Marconi Union and bass playing legend Jah Wobble joining creative forces. The result is a sophisticated collection of moody downtempo electronica that is utterly mesmerizing. Ambient textures, liquid synths, and atmospheric guitars swirl around charismatic bass lines and inventive percussion – a very cool record. 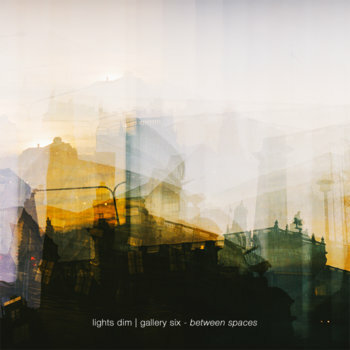 ‘Between Spaces’ is a full length album that culminates a period of collaboration between Lights Dim (Marek Kamiński) and Gallery Six (Hidekazu Imashige). It is comprised of the material from two EPs (‘Moon’ and ‘Young City’) plus two previously unreleased tracks. It all works together beautifully, however, as one cohesive LP. It superimposes introspective piano and guitar melodies over an ambient undercurrent to create a very inviting listening experience. Although I liked it very much on the first listen, it has grown to become one of my favorite releases of the year, much like one’s favorite cup of tea at the end of an evening. The distinctive graphic motifs of an album on the Ultimae Record label come with justifiably high expectations of premium quality electronic music, and this debut by Greek artist Mihalis Aikaterinis on the label as Miktek does not fall short. 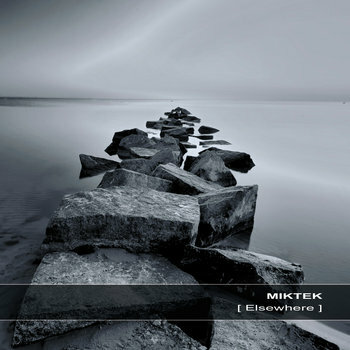 ‘Elsewhere’ is aptly described as a cinematic downtempo, IDM and ambient album. It is a fine work of sonic craftsmanship expertly balancing rhythm, melody, and subtle nuances to make for a rewarding musical journey. 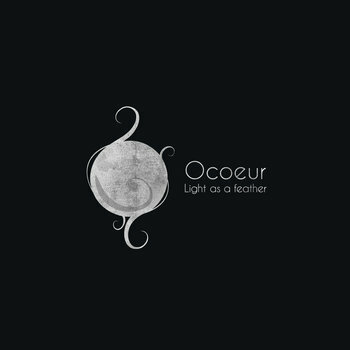 ‘Light as a Feather’ is the sophomore album for Ocoeur (French electronic musician Franck Zaragoza). He says of the album: “My concept for Light As a Feather was to conjure up memories and feelings from the insouciant dreams of youth”. Indeed, though there is a touch of nostalgia and melancholy in the simple melodies, the album evokes a playful feeling through a seemingly endless variety of grooves, glitches, tones, and effects. This combination of gravitas and whimsy make for a unique combination and a very enjoyable, fresh sounding record. 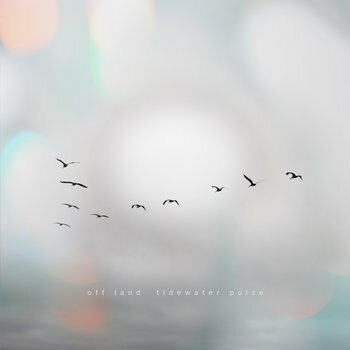 With ‘Tidewater Pulse’, New England artist and musician Tim Dwyer delivers his first full length album under the moniker of Off Land. 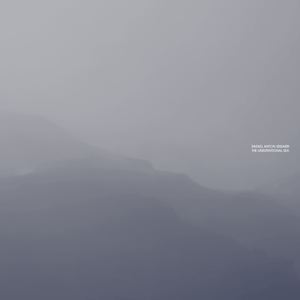 The album is a collection of minimalist ambient soundscapes ornamented with delicate textures and field recordings to create a very meditative mood. 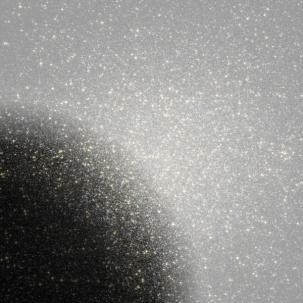 As such, it is very unobtrusive and yet, in a subtle way, it is very lavishly textured. The sonic colors are icy cool and the wintry tone is strongly suggested by track titles such as ‘Drift Ice’ and ‘Permafrost’. Alternately tranquil and haunting, this is a beautiful album crafted patiently and will reveal many rewards and nuances to the listener who gives it their full attention. This is one of a series of “travelogues”, or year-in-review posts, covering music I especially enjoyed this year. 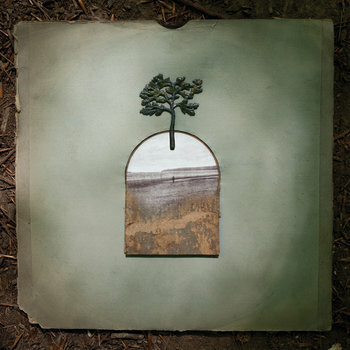 This entry covers five outstanding EPs in the post rock category. Just short of full album length, these records still delivered some noteworthy music from artists that are making their mark on the genre. Note that the albums are not in any kind of ranked order, but are simply listed alphabetically by artist. 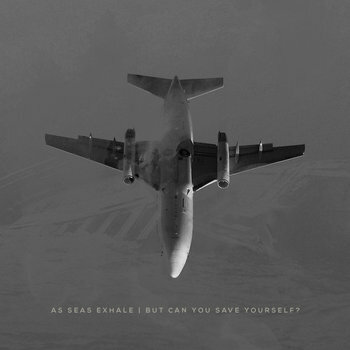 As Seas Exhale is the solo music project of Stephen Craft based in Orlando, Florida. In November he released a lovely ambient styled album called ‘Recovery’ soon to be followed by this EP, which is a reprise of one of the tracks from that record developed into a twenty minute oeuvre in four movements. 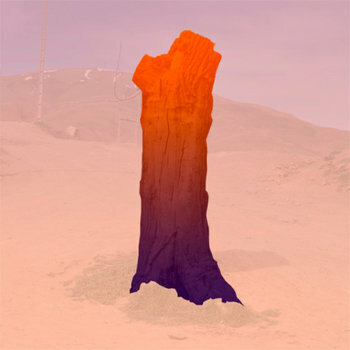 Craft explains he did this because he felt the song “had a lot of potential energy that was restrained for the sake of the EP’s focus on relaxation and ambient atmosphere”. His instincts prove to be spot on as the tracks flow with glacial beauty until seamlessly erupting into volcanic crescendos at the end of movements II and III. It all makes for a tidy artistic package and a satisfying musical journey. 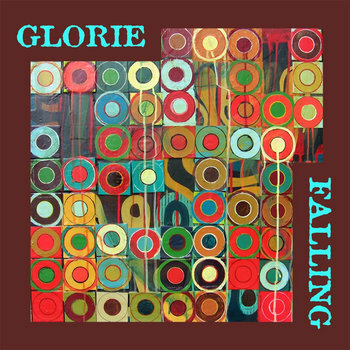 Glorie is a five piece band based in Memphis, Tennessee that produces a particularly elegant brand of instrumental music befitting the diverse and accomplished backgrounds of the members of the group. Post rock would really be too narrow a description for the music which relegates guitars in the background and relies on piano, strings, and vibes to create an organic and cinematic atmosphere that has just a touch of the avant garde, but remains absorbing and accessible. This EP packs enough ideas, artistry, and sophistication to make many long players justifiably jealous. 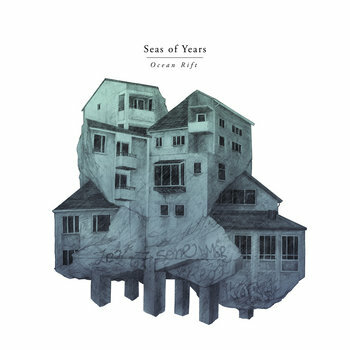 Seas of Years formed in the summer of 2012 in Stockholm, Sweden and released this four track EP in April. They take a fairly conventional approach to post rock with two guitars, bass, and drums but have produced a debut record of unconventional power and beauty. The guitar work is excellent – clean, bold, and refined – and runs the gamut from mammoth power chords (‘Surface’) to shimmering atmospherics (‘Lighthouse’). Hopefully we will hear more from these guys and soon. 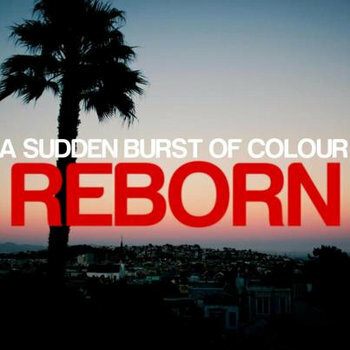 A Sudden Burst of Colour is a four piece band with an especially invigorating sound that hooked me as soon as I heard the surf guitar tones of ‘Zen’ ring out in my headphones. The three tracks on this EP deliver big atmosphere, effervescent energy, and uplifting melodicism that seems especially well suited to live performance. A great start from these guys hailing from Motherwell, Scotland. Liverpool-based Wired to Follow describe themselves as a soundscape-rock band which, based on several excellent EPs released this year, I would agree fits them perfectly. The style is a potent mix of ambient elements, electronics, and driving instrumental rock. The latest release, ’90Y’, is a great addition to their growing body of work and a fine introduction to the band. In the short space of 20 minutes they deliver a mini-epic in three parts (’90Y’), haunting liquid electronica (‘As the Earth Spins’), hazy dystopian atmosphere (‘Painting Roses Red’), and warm acoustics (‘i will always be 0’). Seemingly brimming with ideas and the ability to pull them off, this EP promises many more interesting things to come from Wired to Follow. This is one of a series of “travelogues”, or year-in-review posts, covering music I especially enjoyed this year. These are the last ten full length albums in the post rock category. Note that the albums are not in any kind of ranked order, but are simply listed alphabetically by artist. 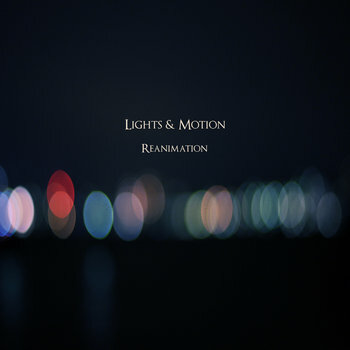 Lights & Motion is a one-man project from musical phenom Christoffer Franzen, whose work is cinematic in every possible sense. ‘Reanimation’ was the culmination of a period of developing a vision over many long nights in the isolation of a studio in Gothenburg, Sweden along with the feedback of a close-knit group of friends and followers who Franzen kept engaged through social media. The music is as amazing and inspiring as the story behind it’s making. Shimmering tones, gorgeous melodies, and wide screen crescendos make this as breathtaking a debut as you are likely to find in any genre. And this is no flash in the pan. Franzen has already released an excellent follow up called ‘Save Your Heart’ as well as a collection of excellent film-score like sketches that hint that we could see his name rolling through the credits a major film in the not to distant future. 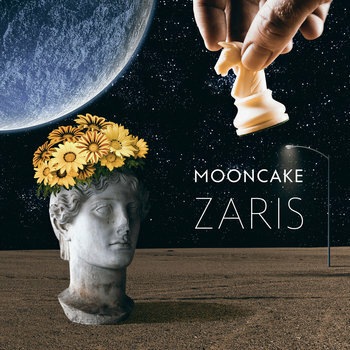 Mooncake is a four piece band from Moscow that has been consistently producing excellent instrumental rock that fits well into the post rock genre, but is clearly informed from a variety of influences including prog rock, classical and jazz. A tag sometimes used for their music that I would agree with is art rock. ‘Zaris’ certainly fits that bill. Two wonderful new recordings of previously released songs (the title track and ‘Cast the Route’) along with six dynamic new tracks most of which are well over 10 minutes long make this a delicious feast for the ears. Tons of replay value in this one. 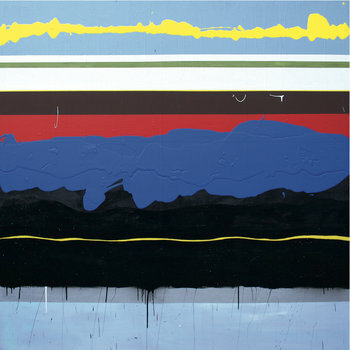 North Atlantic Drift is the duo of Mike Abercrombie & Brad Deschamps based in Toronto, Canada and ‘Resolven’ is their third full length release, part of a trilogy of records that includes ‘Canvas’ (March 2012) and ‘Monuments’ (March 2013). 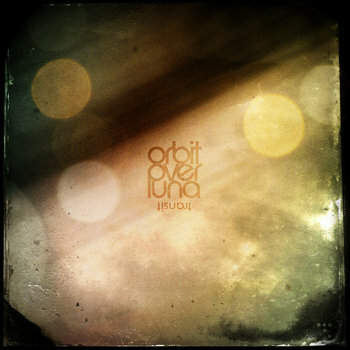 One of the track titles on this album, ‘Obsidian Flows’ is a perfect metaphor for the band’s music, as it conjures an image of both fluidity and opaque, glassy smoothness. This is post rock slowed down to a glacial ambient pace. All of their albums are highly recommended, but this one, mastered by none other than Rafael Anton Irisarri, is an especially lustrous, slow motion beauty. Dan Leader was a busy man in 2013. He released two full length albums and an EP under his Qulia moniker. 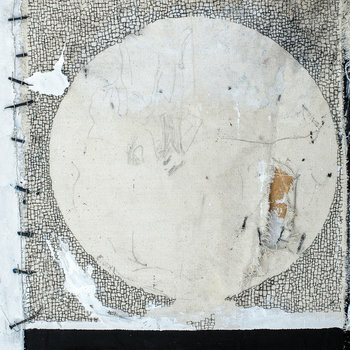 The most recent one, ‘Ecliptic’ is especially engaging. 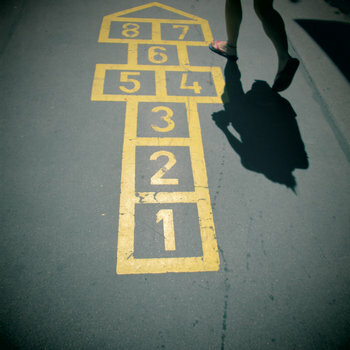 Each song is an introspective soundscape constructed by atmospheric guitar, piano, and very light electronics. Ethereal, but not delicate, the album exhibits sophisticated simplicity and surprising amounts of emotion, despite a lack of structured progressions or percussion. It is immediately accessible, yet seems to reveal something new with every listen. Beautifully done. 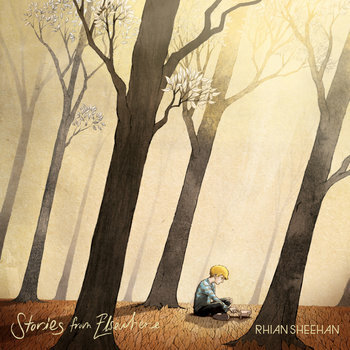 Rhian Sheehan hardly needs an introduction anymore. 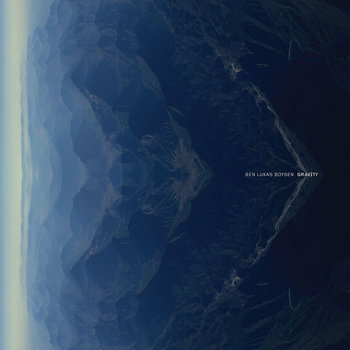 An award winning New Zealand based composer & producer, ‘Stories From Elsewhere’ is a beautiful full length album that shows him at the height of his powers. The album indeed has moments of rock like intensity, but it is also cinematic to the point it could almost as easily be categorized as modern classical. It is that diversity of moods and textures unified by a composer’s integrity of vision that makes it such and enchanting collection of songs. A perfect album to put on at the start of almost any day. 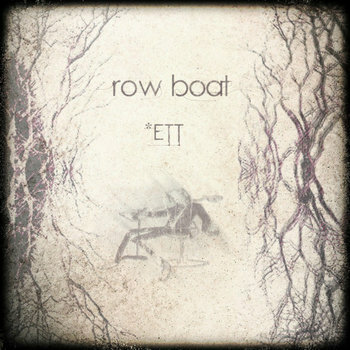 Row Boat is ambient post rock project of Mark Wardale. 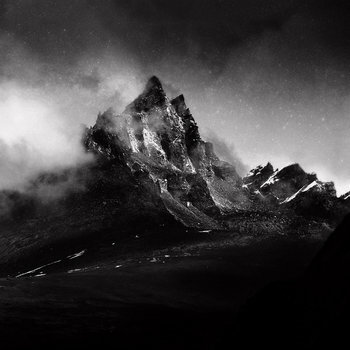 Based in the UK, but strongly referencing Scandinavia musically and geographically, Row Boat’s music is a delightfully eclectic blend of ethereal atmospheres and glowering post rock. Some tunes, such as the beautiful ‘Frostavallen’, never leave the ambient domain, whereas others such as ‘Rädslan’ build into stormy crescendos. The standout track here is ‘Kämpaglöd’ with its glowering piano and bass lines, rollicking drum beat, and impressive build-up that falls over the cliff into a moody and sullen outro. Great stuff. 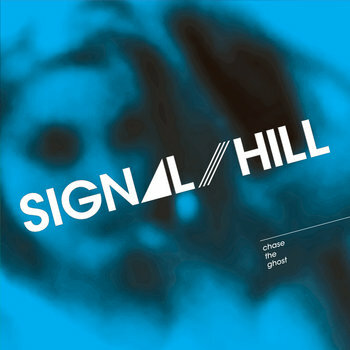 With their breezy melodicism, shimmering guitars, and math rock leanings, Signal Hill are breath of fresh air in the post rock genre. You can always count on them to deliver a record that sounds lively and inviting and reward repeated listening. On ‘Chase the Ghost’, they sound better than ever. As soon as the reverb first rang out with the opening strums & arpeggios of ‘ The Fantastic Hours’, my ears felt right at home. Every note feels like it is just where it should be and the record flows seamless until the end when you will be ready to drop the needle right back on the opening track. With ‘Atlantic’, David Walters has delivered the first installment of a dual ocean-themed album, with the second half, ‘Pacific’ is due in early 2014. 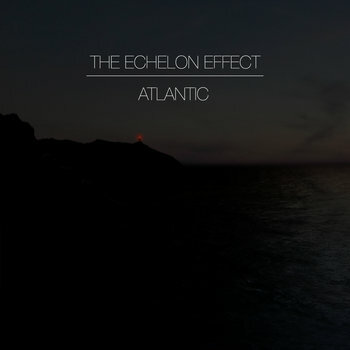 The approach of splitting the two albums looks to be a smart one, as ‘Atlantic’ is a very complete and balanced full-length effort which stands beautifully on its own, but also builds anticipation for what will follow. Referencing locations on the southern coast of England as well as the sounds, images, & emotions associated with traveling the sea, the album feels more expansive and cohesive than anything he has done before. And the music is enhanced by outstanding percussion work by drummer Steve Tanton and the appearance of guest musicians such as Ciaran Morahan of Codes in the Clouds and Torsten Kinsella of God is an Astronaut. Anyone who rushed out their year end lists in early December risked excluding what many are saying is one of the best post rock releases of the year. 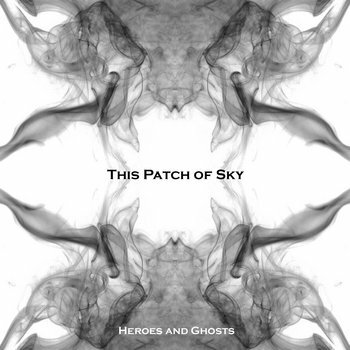 ‘Heroes and Ghosts’ is a beautiful realization of a very pure post rock aesthetic. It is imbued with the yearning lyricism of Explosions in the Sky and the power chord laden heaviness of This Will Destroy You, which turns out to be a very powerful combination. Full of elegant build ups which erupt into volcanic crescendos it is passionate, dynamic and perfectly paced. A fine record to fill up your headphones with. 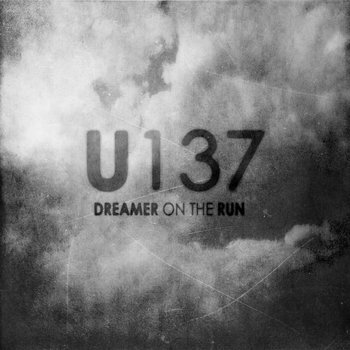 U137’s ‘Dreamer on the Run’ is a debut record that does not sound like one. That can be explained by the fact that the band is comprised of two members of veteran post rock outfit Moonlit Sailor. The direction charted for U137 by Adam Tornblad and Oscar Gulbrandsen is a much brighter and more colorful one than the album cover suggests. This is post rock of the ambient & cinematic varieties with a dash of pop sensibility tossed in for good measure. The duo clearly wanted to make the most beautiful sounds they could muster and are happy to wear there passions on their musical sleeves. A standout track here is ‘Pearl Lakes’ which, even as an instrumental, could easily play to an arena of rabid Coldplay fans with no apologies. A very fresh and enjoyable record.